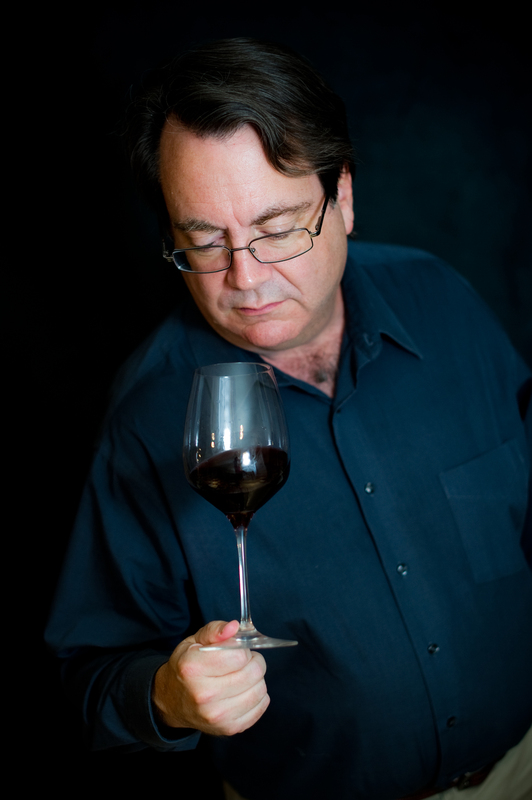 Wine Geek – Know Thyself! This is about as geeky as I get, holding the glass by the foot! “Wine geek” sounds pejorative, but I don’t mean it as a slur when I use it in my writings to refer to wine lovers. I consider myself a wine geek, after all. And geeks of all kinds are considered cool now anyway. For me, a wine geek is someone who spends an inordinate amount of time thinking about and talking about wine. Or reading wine blogs. (Yeah, I’m talking to you!) We spend a fair portion of our disposable income on wine; though our average price comfort level depends to a large degree on how much income we have to spend. A wine geek, in other words, is not a price snob. We are willing to pay a little more for a special wine, one that offers extra nuance or complexity, a special terroir. But we relish the inexpensive over-achiever wine as well as the rare, pricey cuvée. So in the spirit of poking fun at ourselves, here are some traits of the species called “wine geek.” This list contains some of my oldies, but also some new ones as I try to keep the material fresh. It is by no means an exclusive list, and I am not the only person who has had fun with this theme. Please add your own in the comments. You swirl your water glass at dinner parties. You put out your recycling late at night after all your neighbors have gone to bed, then sneak around looking at what they’ve been drinking. You correct your hostess when she offers you “Champagne” but pours you Cava. You tell a talkative New Zealander to “Stick a Stelvin in it!” and laugh as if you’re the funniest guy on Earth. You can’t type words like win, windows, winter or winnow without hitting the backspace key. Your favorite beverage is “#wine”. You nicknamed your son Brett, not because he can throw a football, but because he smells funky. You do not have to consult Wikipedia to know that Alder Yarrow had nothing to do with the Salem witch trials. This entry was posted in Humor, Wine, Wine Humor and tagged Humor, Wine, wine geeks. Bookmark the permalink. 4 Responses to Wine Geek – Know Thyself! Great stuff, Dave, you had me laughing out loud. But it really is embarrassing when I send an email to my boss about how we can “wine”, rather than win, our next proposal. Sigh. When I discovered my wife about to donate a rare and expensive wine to a charity auction and stopped her, she asked: why do we have all these bottales around here if we’re not going to drink them? Duh, these are for special ocassions. These are great – reposted them on my blog this morning!